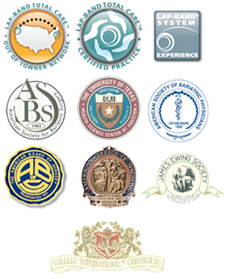 Dr. David Davtyan is one of the most experienced and highly respected LapBand surgeons in U.S. He is also one of a few certified gastric balloon specialists in Rancho Cucamonga and the Inland Empire in the Southern California. 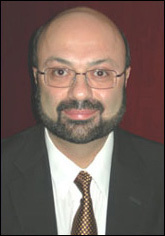 With the clinical experience of having successfully performed over 1000 LapBand surgeries in addition to the patient experience of undergoing the procedure himself, Dr. Davtyan offers a unique combination of expertise, understanding and compassion that enables him to deliver an unsurpassed level of service. As a result, Dr. Davtyan’s patients acquire peace of mind blended with the confidence of knowing they have chosen he most qualified professional in the field of Bariatrics with the Lap-Band System. Discover the advantages of a safe weight loss surgery and start a new life, a new You. The Lap-Band® and Realize Band are the safest and most effective weight loss gastric banding procedures available today! 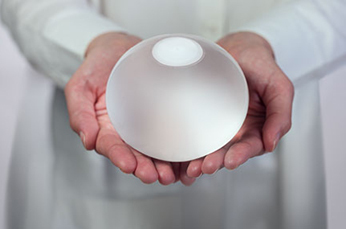 Safe, effective, long-term weight loss procedures are now available for the treatment of obesity.The Lap-Band System® and ORBERA™ Gastric Balloon, both minimaly-invasive procedures, offer unique benefits compared to other weight loss surgeries. Gastric Banding and Gastric Balloon both do not require cutting or stapling of the stomach or gastrointestinal re-routing. 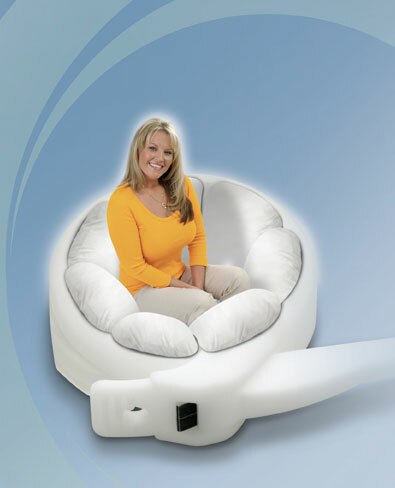 Both can both be adjusted to fit your needs in just one visit. What makes Dr. Davtyan and his team the right choice? Any surgical procedure has its risks but knowing that you have the most qualified, highly respected and experienced surgeon offers unsurpassed peace of mind. Because of Dr. Davtyan’s personal experience with obesity and overcoming it with the help of the Lap-Band, he has a profound sense of compassion and empathy towards his patients. Dr. Davtyan is Board Certified in Surgery and Board Certified in Bariatric Medicine thus he firmly believes in comprehensive management of excess weight. Consequently, he and his team possess a team approach and collaborate with various experts in related sub-specialties to ensure complete and thorough pre-operative evaluations and safe and successful post-operative recovery. For best outcomes, Dr. Davtyan offers his patients easy and frequent access to his numerous clinics for close and attentive follow-ups. We have a uniquely caring partnership with our patients. our patients. Our experience, accessibility, and compassion result in the achievement and maintenance of our patients goals. We offer our patients so much more. To achieve best outcomes we assist our patients by offering them complimentary consultation follow-ups, comprehensive weight loss programs such as diet and exercise regimens, recipes, nutritional supplements, online support systems, nutritional counseling, new lifestyle coaching, and more. For patients who have reached their weight loss goal we also provide cosmetic procedures such as liposuction, abdominoplasty (“tummy tuck”), brachioplasty (“arm tuck”), thighplasty (“thigh lift”), and total body lift based on the patient’s needs. Our office streamlines insurance coverage and provides a multiude of attractive financing options with no money down and low monthly payments. Great West, Aetna, Guardian and many others. These cases are performed at Cedars-Sinai Medical Center and/or approved surgery centers.We also perform the LapBand® procedure for select Medicare patients based on their health and risk/benefit ratio at Cedars-Sinai Medical Center. Fighting obesity can be a lifelong struggle. “I know. I was there. After struggling with obesity for many years, unable to achieve any long-term weight oss through diets, exercise and medications, I discovered an exciting, new weight loss procedure: Lap Band surgery. After living with the Lap Band and experiencing rapid success, I developed a profound interest in this revolutionary procedure. I studied with LapBand pioneer Guy-Bernard Cadiere, in Brussels, and became one of the first doctors to perform the Lap Band procedure in the United States following its FDA approval in 2001.